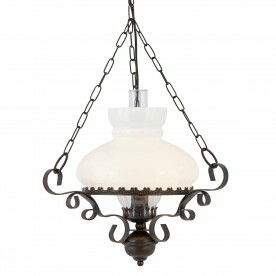 This Hurricane Lantern Pendant Light in Black Gold with White Glass is a classic antique reproduction. 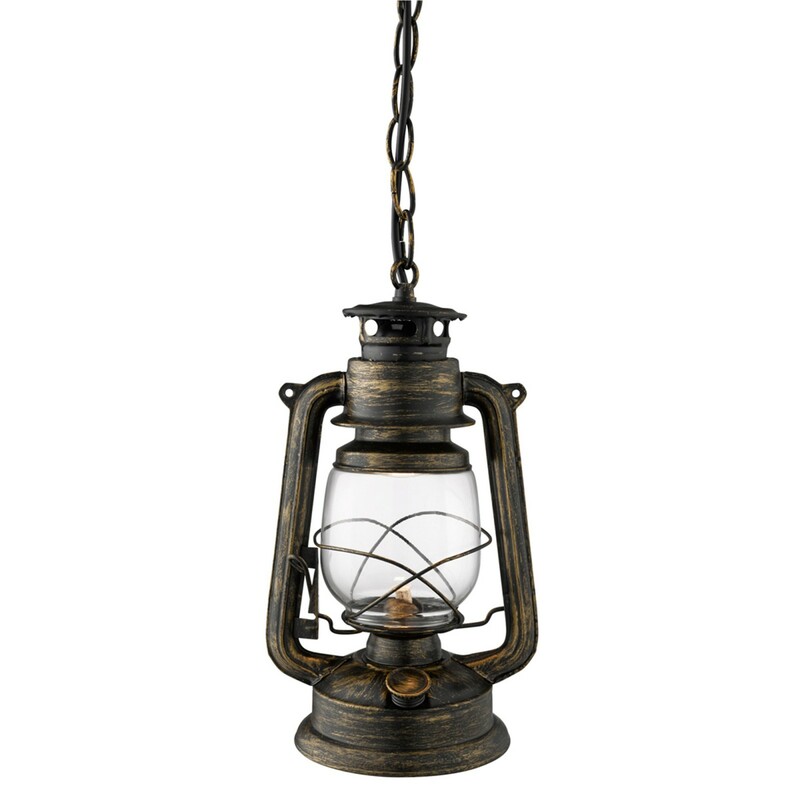 The traditional style lantern has a chunky metal top and base, with ornate detailing and two sold metal arms either side of a hurricane glass shade. The black gold finish gives it an authentic look, emitting a subtle source of light for any hallway or living space.